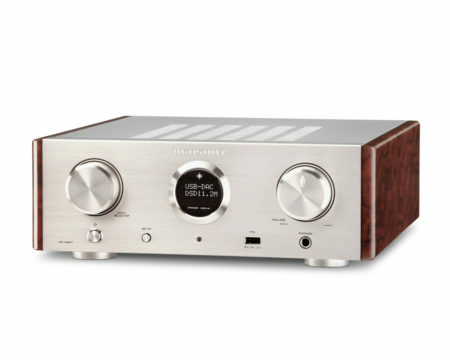 The ultimate Esoteric Monoblock DAC for the ultimate in stereo playback. The Greek god Atlas held the skies on his shoulders as he stood at the center of the heavens. 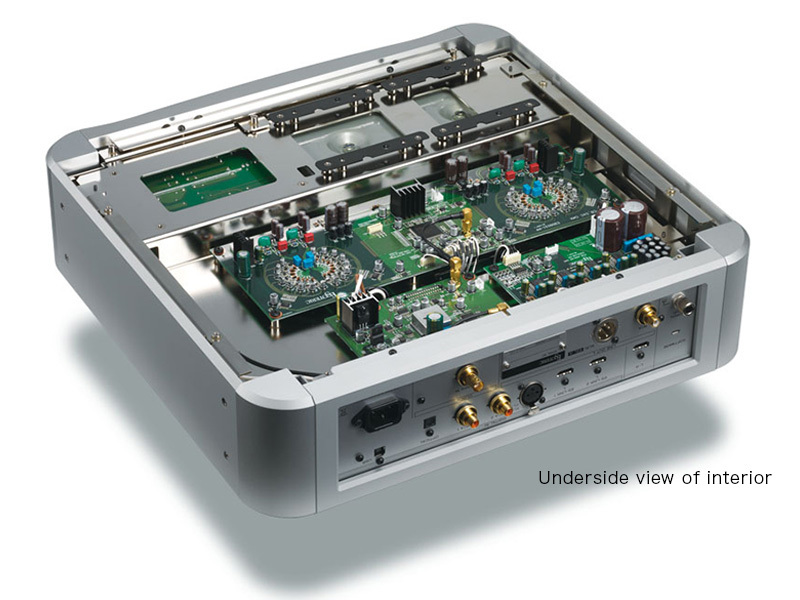 This peerless new Esoteric system has been designed from the ground up to showcase two unique innovations; a completely new VRDS-ATLAS transport and new in-house designed discreet DAC circuitry. These unparalleled flagship products, the latest to carry the ‘Grandioso’* name, now stands at the center of future exaltation in the audio experience. * Grandioso (music): Grand or noble. Brings out all the vibrancy and energy of the original master recordings. The Master Sound Discrete DAC features a totally original design that represents the culmination of Esoteric’s quest for an original master sound. Its high 64-bit resolution provides vast improvements over our earlier DAC’s 36-bit resolution, and enables support for the latest technologies such as playback of 22.5MHz DSD and 768kHz PCM audio. 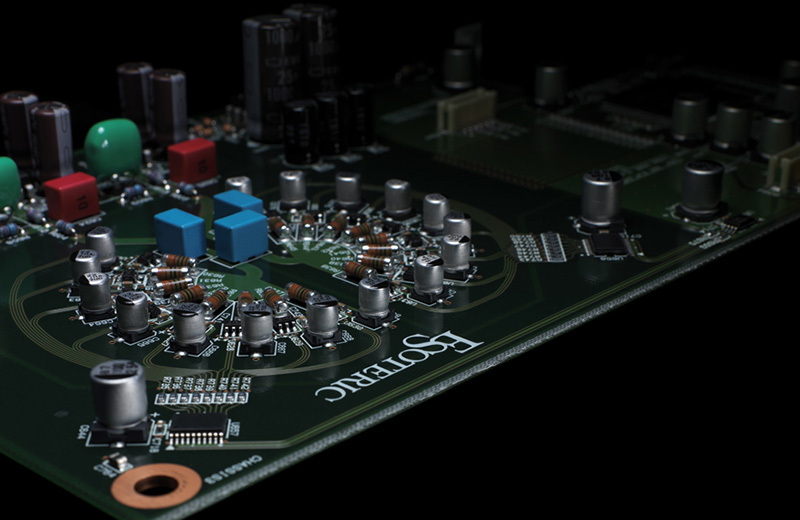 All processing is handled by Esoteric’s own FPGA algorithm, and a discrete circuit design forgoes the use of generic DAC ICs in order to actualize Esoteric’s vision down to the finest detail. How close can digital come to analog? 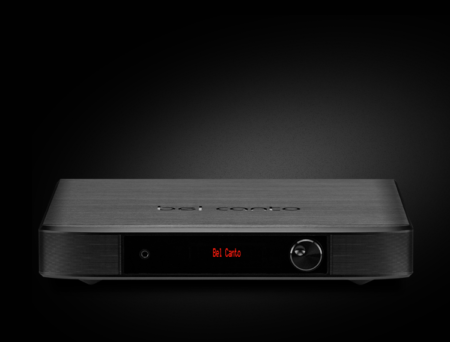 With Esoteric’s Master Sound Discrete DAC, this question becomes a thing of the past. The Master Sound Discrete DAC’s 64-bit resolution is the highest in Esoteric history, reducing digital rounding error to an absolute minimum in order to enable the faithful reproduction of the subtlest of textures. The Master Sound Discrete DAC easily supports a broad range of formats, and can provide native playback of the highest resolution DSD master files. This impressive performance is merely one of its superlative attractions. Our Aim Was to Faithfully Reproduce All the Vibrancy and Energy of Music. 64-bit resolution and overwhelming performance. 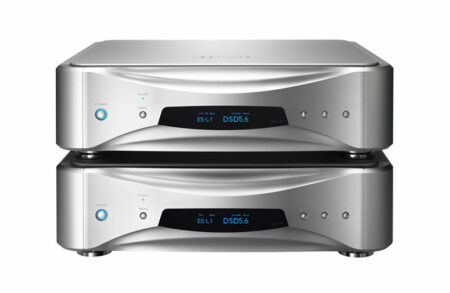 However, the true essence of This DAC cannot be discussed merely in terms of its specifications. The fundamental goal in the development of the Master Sound Discrete DAC was to achieve an accurate, full-bodied reproduction of all the vibrancy and energy of music. Music is infused with all the passion that a performer brings to a passage, with instantaneous and explosive energy. 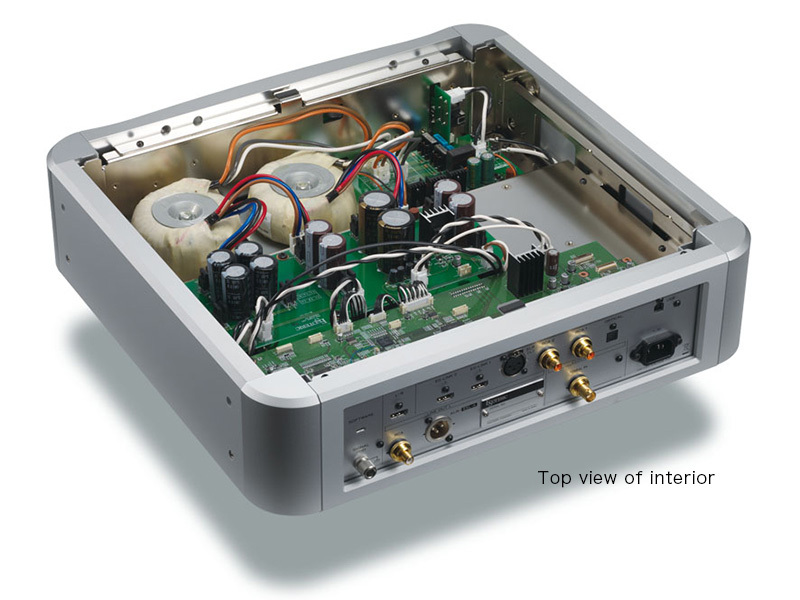 We wondered if it was possible to use higher-grade parts than integrated chips, as well as more luxurious materials, to create a more powerful DAC that could deliver a superlative analog signal. This idea led us to the discrete DAC. Esoteric’s top engineering team painstakingly invested their very pride into realizing this complete, full-bodied sound. Featuring four DAC circuits per channel, their eight circuit elements are arranged in a semi-circle for equidistant signal transmission within each DAC. This total of 32 circuit elements are arranged in two circles that present a luxurious structure with all constituent components, including resistors, logic ICs, and power supplies, separated for all 32 of the circuits. Since each of these 32 circuits utilizes an independent power supply circuit, the music’s full burst of energy can be output in its purest form. Furthermore, by selecting the same sort of ultra-high precision resistors used in measuring instruments, the DAC can perform high-speed digital arithmetic processing with greater accuracy. With a discrete DAC, where component tolerances are directly linked to arithmetic precision, highly advanced quality control is also required for the manufacture of electronic circuit boards. Esoteric’s own in-house factory boasts some of the world’s leading board mounting technologies, such as soldering performed in an oxygen-free furnace, which is located in a clean room featuring the same level of cleanliness found in a hospital operating room. 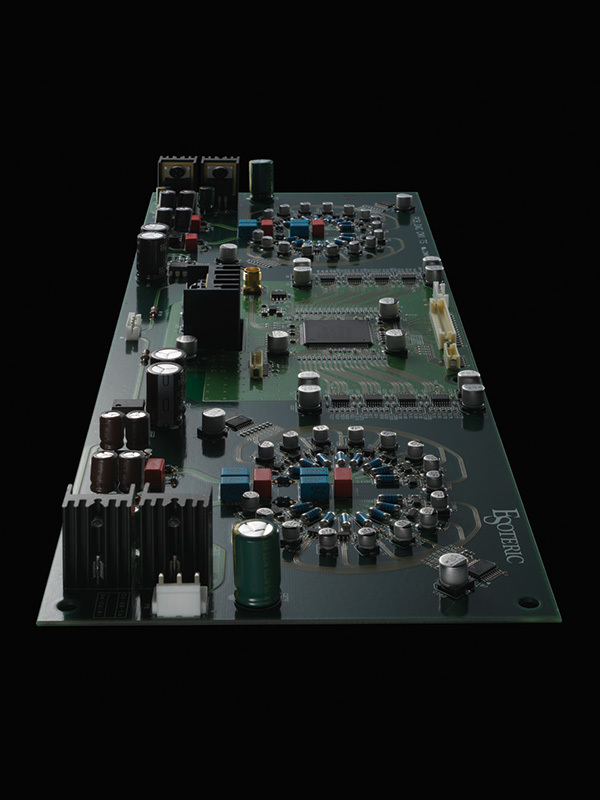 Technologies cultivated in the production of electronic circuit boards for audio, medical, aerospace, and defense industries support the high production quality of the Master Sound Discrete DAC. Setting its sights on achieving the highest levels of D/A conversion capability, Esoteric created the world’s first monoblock D/A converter in 2004 with the D-01. 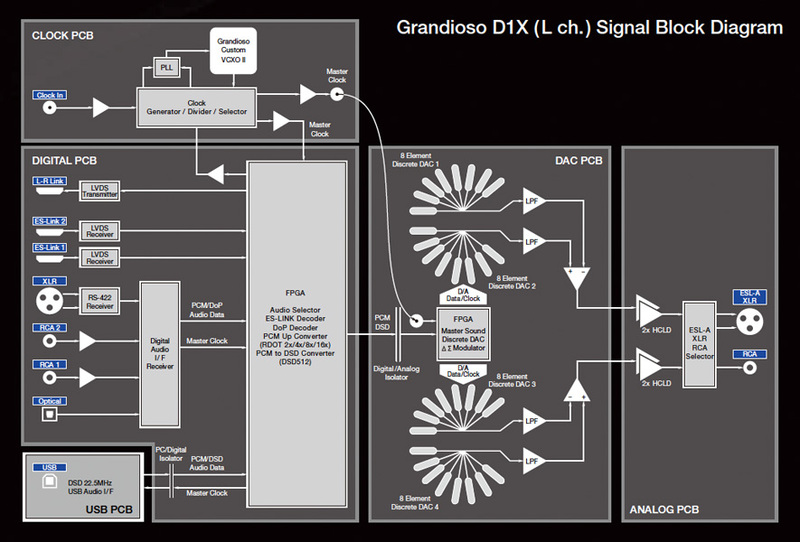 The latest in this lineage of flagship D/A converters is the Grandioso D1X. Brushed up and liberally infused with new technologies, the D1X lets you fully enjoy the excellent channel separation of a dual monaural configuration coupled with truly stereophonic sound. 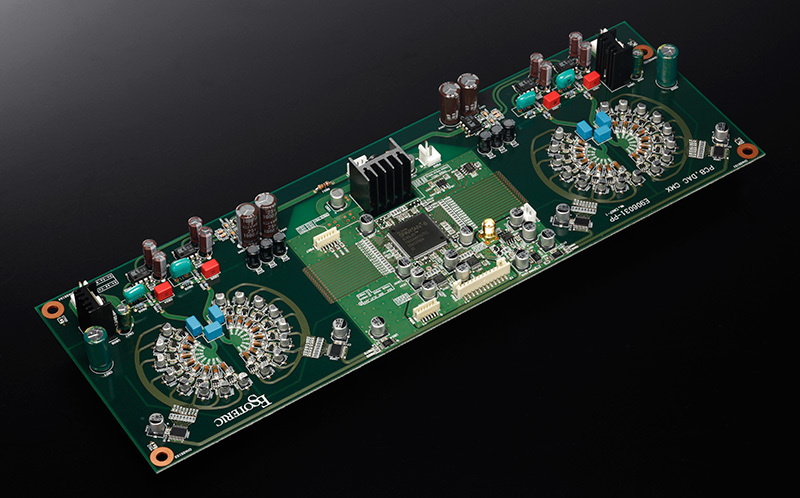 A fundamental element of audio quality, the Esoteric-HCLD output buffer amp is mounted on a separate board from the D/A converter, and its circuits have been upgraded to double the scale of the previous model. As an indicator of its response speed, the buffer amp’s main components boast an astoundingly high slew rate of 2,000V/μs. This buffer amp also features a four circuit parallel configuration for RCA output, and an extravagant configuration of two hot and cold circuits each for balanced XLR output. This enables the D1X to approach the very limits of powerful current-mode transmission and speed, which are the most important elements of an analog output circuit, and help reproduce the full reality of music with breathtaking dynamic range and clarity. In addition to its XLR and RCA line connections to the amplifier, the D1X has also been newly equipped with Esoteric’s own ES-LINK Analog transmission system. 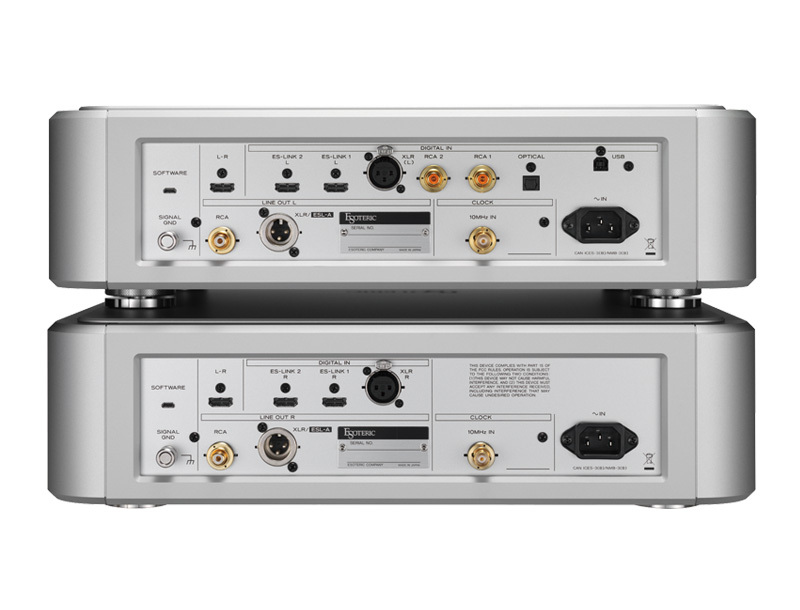 Current-mode signal transmission is less susceptible to the effects of signal route impedance, thus enabling more powerful signal transmission. When connected to supported devices, ES-LINK Analog offers an ideal transmission system for maximizing system potential. All analog circuits are electrically isolated from the digital circuits, and separate power supplies are used for the digital and analog circuits. Each channel features two large and powerful toroidal power supply transformers, which provide a steady supply of clean power to each corresponding circuit block. The D1X features the ability to upconvert a PCM digital signal up to 2, 4, 8 or 16 times higher sampling frequency (Max.768kHz). 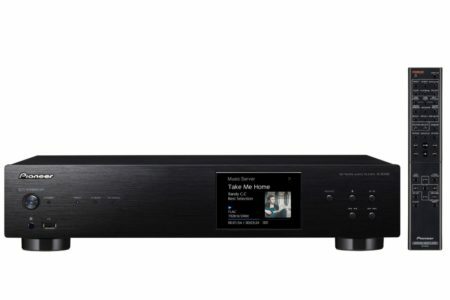 It also features a PCM-to-DSD conversion function (up to 22.5MHz), and a DSD digital filter that can be freely switched ON or OFF. MQA is an award-winning technology that delivers master quality audio in a file that’s small enough to stream or download. Using pioneering scientific research into how people hear, MQA captures and authenticates the sound of the original studio performance. Visit mqa.co.uk for more information. * As of February 2019, MQA certification is currently being processed. Support will be added via a software update as soon as certification is complete. The D1X also includes a USB terminal for connection to a computer or network transport, enabling playback of studio master quality audio sources. 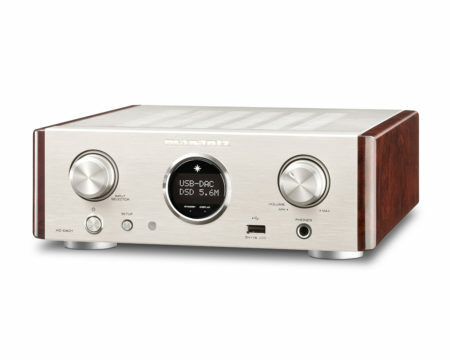 The clock circuit lies at the heart of any high- end digital player. Both the P1X and D1X are equipped with newly-developed Grandioso Custom VCXO* II clocks that incorporate a large piece of crystal which features exceedingly low phase noise characteristics and excellent centering precision (±0.5ppm), making it eminently suitable for such high-end models. Additionally, improvements made to the internal components and circuit patterns of this custom VCXO component resulted in further enhancements to audio quality.Both the P1X and D1X can be connected to the Grandioso G1 Master Clock Generator (sold separately) for a further upgrade of sound quality via playback synchronized to a 10MHz atomic clock. – This product is available in three different power supply variations shown in the specification section above. Make sure that the voltage shown on the rear panel matches the AC line voltage in your area. – The shape of the AC inlet and plug of the supplied power cord depends on the voltage rating and destination country.